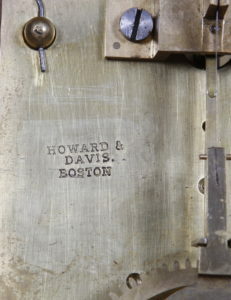 Edward Howard and David P. Davis were both apprentices in the shop of Aaron Willard. 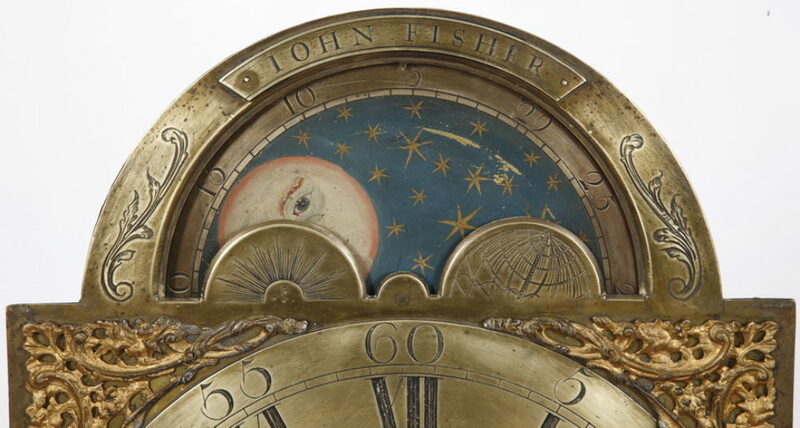 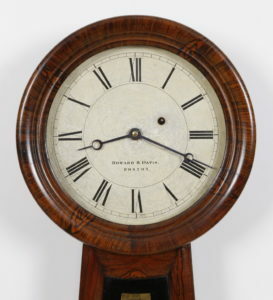 They formed a partnership in Boston in the 1840’s and this example is one of their early clocks. 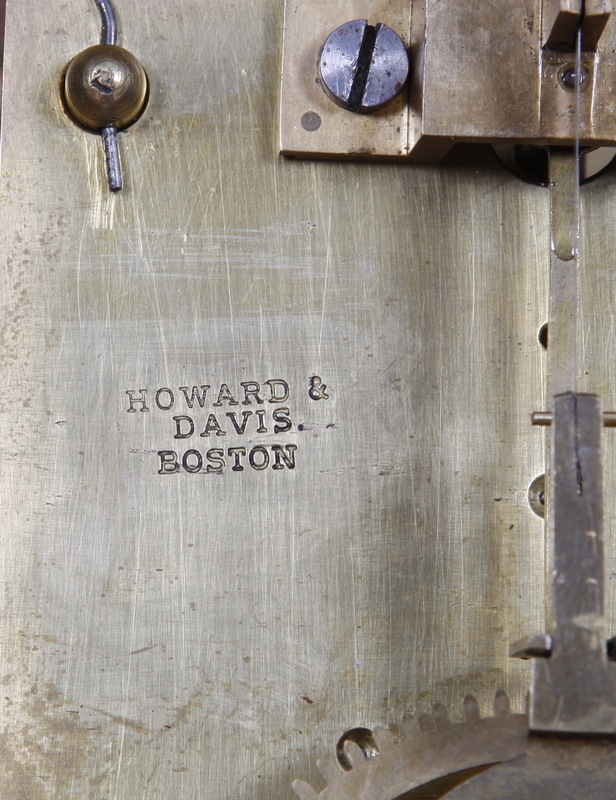 The clock we are currently offering for your consideration is a Howard & Davis No. 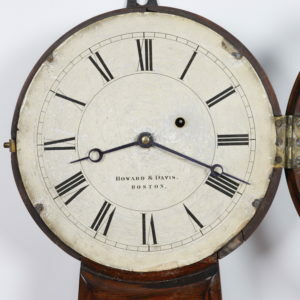 3 Banjo Clock, weight driven timepiece Circa 1850 with overall dimensions of 38 X 16 X 9 in. 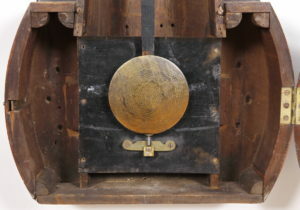 The early dial is paper over Zinc with black Roman numerals, signed Howard & Davis Boston, black open moon hands. 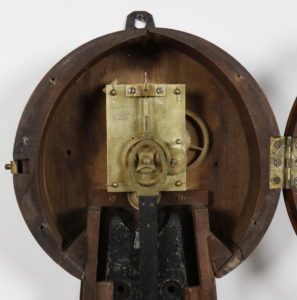 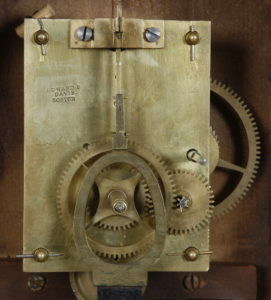 Brass signed Howard & Davis weight driven movement with recoil escapement, cast iron weight, brass pendulum bob with wood stick and lock-down hardware mounted to the original weight well baffle. Rosewood grained hardwood case has black and gold reverse painted throat glass and tablet, has conservation on the back over the black; good original finish, bottom of case is original and has been reattached , dial is untouched, unrestored and original. The pendulum bob retains its original “engine turned, damascened” decoration.